In this video, Mark Donovan of HomeAdditionPlus.com introduces HouseSight and gives a demonstration on how to use this new free service on HomeAdditionPlus. HouseSight is effectively a new social networking environment with a home improvement theme. 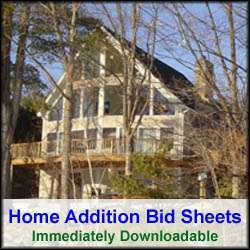 It allows members to post and share information about their particular home remodeling and home improvement projects. It also allows them to manage their project and access various home remodeling resources such as finding local contractors, obtaining contractor reviews, buying house plans and even buying home construction tools and materials. Even if you don’t have a home improvement project in the works, HouseSight is a great destination for obtaining home remodeling ideas whether you are a member or not. If you do sign up as a member, you can also contact fellow members to ask them specific questions about their home improvement projects. HouseSight membership is free and registration is easy. So sign up today and begin posting and sharing information about your home improvement projects.